The Metro, or the subway system of Sao Paulo, may be easier to use than the buses since it contains English directions and clearly defined routes. Moreover, the subway is significantly safer and cleaner than the bus system. 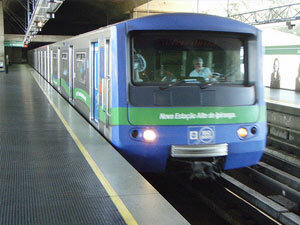 The metro will also connect you to the train network of Sao Paulo. A one-way ticket, sans the Bilehete Unico card, costs R$2.55 . Inter-line transfers are free. Price: R$2.55; children under five for free.